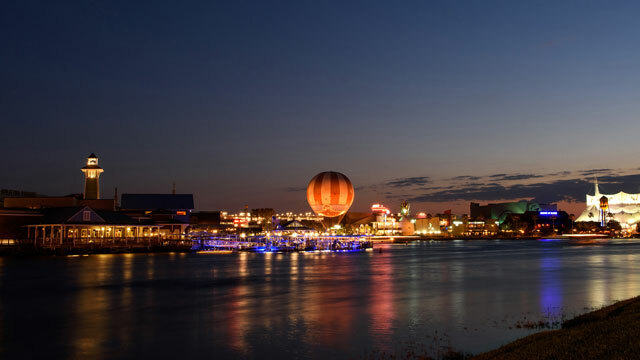 Since completing its transformation in May, Disney Springs is rapidly creating its own legacy while building on the success of its predecessor, Downtown Disney. 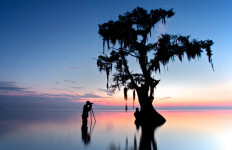 A high-end shopping, dining and entertainment experience for tourists and Floridians, it continues to add new and exciting businesses to its lineup. Currently there are four neighborhoods to explore: The Landing, Marketplace, West Side and Town Center. Check out these recent store openings. Coca-Cola Store Orlando is modeled after a 1920s Coca-Cola bottling plant. Photo courtesy of The Coca-Cola Co.
A new immersive retail experience from Coca-Cola was introduced to the Town Center on July 2. The prime location is across the walkway from the Planet Hollywood restaurant, currently under construction while it is converted into a stargazing 20th century observatory. The store is one of three retail locations by The Coca-Cola Co. in the U.S., and though it is smaller than the Atlanta location, it makes up for the lack of size in luxury. It offers an expansive retail space with items such as Coca-Cola branded apparel, coffee mugs, magnets and anything else you can slap a Coca-Cola Co. label onto. One of the more interesting merchandise themes is a table located at the entrance of the store with handcrafted items from recycled Coke products, such as purses and wallets (and they look good, too!). 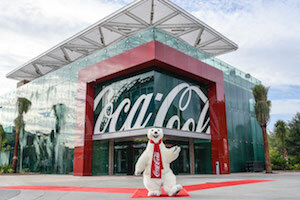 A sales ambassador for the store reveals an interactive area on the second floor is undergoing climate-friendly renovations to accommodate the Coca-Cola Polar Bear. Visitors will be able to meet the iconic mascot starting in August. The new Coca-Cola Store offers a variety of drinks and a lovely view from its rooftop bar. The three-story building has an optional ramp surrounded by glass walls that wrap around the building if customers prefer to bypass the elevator. 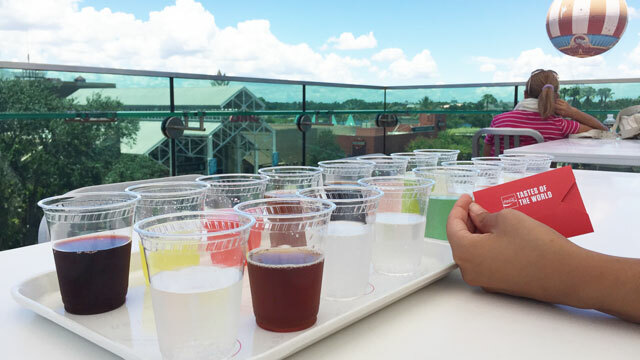 A rooftop bar serving Coca-Cola drink samples from around the world (try the Beverly from Italy) can be found at the top of the third floor and gives guests a birds-eye view of the rest of Disney Springs. Cocktails and other non-alcoholic beverages also are offered on the menu. “Coca-Cola shares much in common with Disney, including our ability to inspire unique moments of optimism and happiness for our fans,” said Russell Jacobs, general manager of retail and attractions at The Coca-Cola Co., in a statement. Food Network has called it the world’s first cupcake bakery and 20 locations later, it now has a home in Disney Springs. Sprinkles, which opened its first store in 2005 on the West Coast, has since begun a cupcake craze which gained attention from celebrities such as Oprah Winfrey, Tyra Banks and Holly Madison. The Cupcake ATM at Sprinkles holds about 400 cupcakes and is open until 2 am. The new addition to the Town Center of Disney Springs opened its doors on May 15 and is located just around the corner from the Marketplace. It has one of the largest displays in a Sprinkles store, training manager Ashley Leonard told the Orlando Sentinel, and differs from older stores by serving ice cream and cookies. The Disney Springs Sprinkles also features a cupcake ATM where customers can enjoy a sugary treat after the bakery closes until 2 am, when Disney Springs hours of operation end. 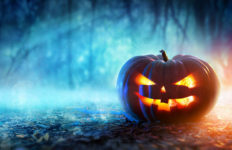 From a business perspective, the use of the ATM is innovative: hours of operation are able to increase without raising costs of store operations, according to Fortune. 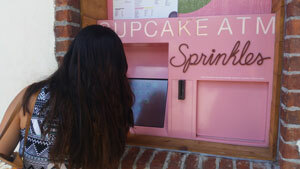 The ATM holds up to 400 cupcakes at a time and is stocked several times a day to keep the baked goods fresh. Another perk of the ATM is a second option to the long lines inside the store where guests can skip the wait and go straight for a sweet treat. Shaded tables provide guests a chance to eat and admire the scenery. 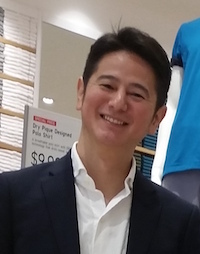 UNIQLO USA joined Disney Springs last month, making it the company’s first location in the Southeast region of the U.S. The retail company is popular for its high quality designs centering on convenience for the consumer called LifeWear. They focus heavily on clean, universal designs that are low-cost, comfortable and long lasting. Their more impressive items include the cooling AIRism shirts— a welcome addition for locals and visitors alike— and Heattech thermal clothing, such as lightweight pack-and-go vests. The new retail store at Disney Springs is a reflection of its name, uniquely balancing culture and design to meet customers’ needs. Photo courtesy of HL Group/UNIQLO. CEO Hiroshi Taki said the foot traffic of 17 million tourists a year make the location a prime choice. A large amount of international visitors, many from South America, have turned Disney Springs into a family-friendly tourist location— something that UNIQLO capitalizes on by including a children’s section in its store. Disney-themed clothes and a station where visitors can pick out a patch to be custom-pressed to their shirt are new concepts developed just for the Disney Springs location. Among the assortment of Disney products are an entire wall packed full of Mickey Mouse dolls made of soft fleece material. The company blends Japanese and Florida culture with omiyage souvenirs (the Japanese word for gift) and hosting fun activities, namely Japanese calligraphy painting and a gift wheel where people spin to win various prizes, including free merchandise. The store sells city shirts as well that represent the centric energy found in Florida with bright colors and modern designs. If the store opening in Florida goes well then there are plans in the works to open other store fronts in the state, according to CMO Justin Kerr. The clear, flowing water running under the bridge outside Sprinkles is the signature river giving Disney Springs its name. The addition of the glass Coca-Cola building, the famous Sprinkles bakery and internationally recognized UNIQLO chain are just the beginning. Soon, the observatory in Planet Hollywood will be complete and there is even talk of adding a Polite Pig restaurant, Edison Night Club and a revamp of DisneyQuest, an indoor interactive theme park scheduled to close this year. From new acts at Cirque du Soleil to crafted cocktails at Jock Lindsay’s Hangar Bar, to dining at STK Orlando or Morimoto Asia and shopping for a Lilly Pulitzer dress or TROPHY ROOM sneakers, there is plenty to see, eat and do — day or night. A hallmark of Disney is its ability to keep its myriad attractions fresh and exciting. Disney Springs is no exception. 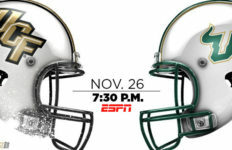 Photo Credit: Top image by Todd Anderson/Disney.